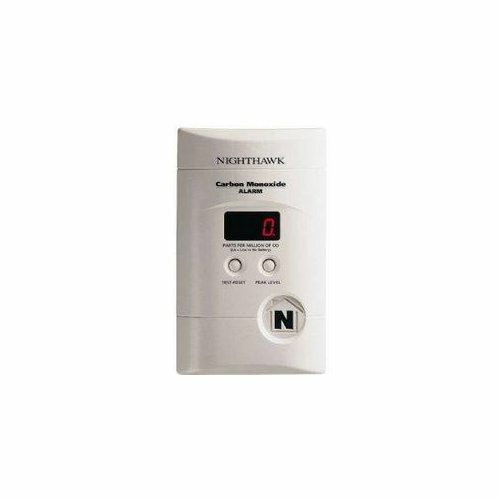 This powered plug-in carbon monoxide alarm utilizes sophisticated electronic components and unmatched sensor technology to protect you and your family from the dangers of carbon monoxide (CO). Includes a 9V battery backup that provides continuous monitoring of CO levels, even during power outages. Detects and stores measured data of concentrated CO levels 11-999 PPM with its peak level memory display. This alarm gives you several mounting options, including: direct-plug, a 6’ power cord or table top.